Maria Quintero handles complex insurance disputes involving a broad range of insurance coverage lines including property, cyber, environmental, employment, commercial general and professional liability. Ms. Quintero devotes her practice to assisting clients with all facets of insurance law including negotiation, litigation, coverage opinions, policy drafting and extra-contractual disputes. Ms. Quintero currently serves as the Insurance Liaison to the Association of Defense Counsel for Northern California and Nevada and is the National Co-Chair for the Extra-Contractual Committee with the Claims and Litigation Management Alliance. She is also a contributing author to Insurance Agency Risk Management: E&O Exposures By Line of Business. Ms. Quintero develops training on industry best practices and is experienced with both bench and jury trials and with appellate court argument. She is a frequent commentator, presenter and writer on emerging industry issues and technology. 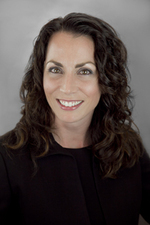 Ms. Quintero joined Hinshaw & Culbertson LLP in September 2011. Previously she was for five years an associate at Hayes Scott Bonino Ellingson & McLay LLP, in Redwood City, California. Ms. Quintero began her legal career in 2002 as an attorney advisor in the chambers of Judge Gerald Etchingham, Office of Administrative Law Judges, U.S. Department of Labor. She spent a year as an associate in the Law Offices of Tharpe & Howell, and from 2005-2006, Ms. Quintero was an associate in the San Jose, California office of Ropers, Majeski, Kohn & Bentley. During law school, she was a judicial clerk in the Office of Staff Attorneys for the U.S. Court of Appeals for the Ninth Circuit. In addition to her other law school accomplishments, Ms. Quintero graduated in the top 11 percent of her class. She was a member of the Dean’s List, and received certificates of excellence in Legal Analysis and Research and Writing, as well as the Witkins Award for Alternative Dispute Resolution. Ms. Quintero was a semifinalist in Honors Moot Court. She was the recipient of a number of the Law/Faculty Scholarships and the Eleven Easy Pieces Scholarship. Secured a defense verdict in a month-long jury trial involving claims of bad faith and products liability. Secured an award of expert witness costs and fees in favor of the defendant insurer. Prevailed on a motion for summary judgment involving a $900,000 claim for coverage under an additional insured endorsement. Prevailed on a motion for judgment on the pleadings involving constitutional and common law claims for due process. Successfully opposed a writ of certiori in the U.S. Supreme Court. Prevailed challenging a complaint alleging improper use of policy proceeds under a directors and officers policy in a case involving more than 50 claimants. Argued in the California Court of Appeal and prepared briefs for the successful affirmation of judgment on a motion for summary judgment in favor of an insurer. Successfully represented a large broker client in a seven-year complex broker liability case involving claims for breach of contract and misrepresentation. "Why The Sky Is No Longer The Limit: Using Drones In Insurance Investigations", published in Daily Journal, 2014 Insurance Supplement. Maria enjoys football, basketball, art, action movies, creative writing and Lake Tahoe, California. She is a Golden State Warriors fan. Ms. Quintero is a volunteer attorney advisor and trial advocacy teacher for the Saratoga High School Moot Court Program.